Wetting – i.e. the displacement of a fluid by a liquid at a solid surface – is a fundamental feature of many natural and industrial systems. Indeed it is a common phenomenon that we encounter every day. It can be classified as either ‘natural’ wetting, such as a droplet spreading on a stationary surface, or ‘forced’ wetting, as occurs in paint application or in controlled industrial coating flows where the aim is to coat a surface as quickly as possible. As in many other industrial applications, modelling of wetting flows is desirable to allow the exploration of new ideas before committing experimental resources, and to allow design and optimisation of systems. However, predictive modelling of wetting is deceptively challenging, because of the multiscale nature of the phenomenon. This talk will look at some examples illustrating the multiscale nature of wetting, and explore some of the challenges in predictive modelling using both a traditional continuum-based approach and a mesoscopic approach. 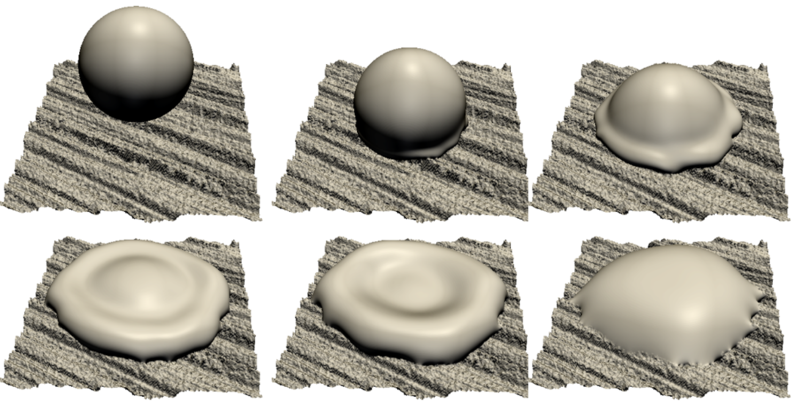 Recent work on modelling inkjet droplet deposition via a lattice Boltzmann method will be presented, focusing on the importance of capturing contact angle hysteresis and temporal effects on surface adhesive forces. 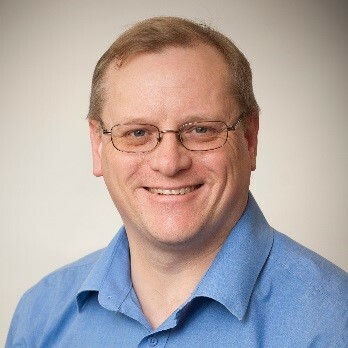 Mark Wilson is an Associate Professor in the School of Mechanical Engineering at the University of Leeds, where he also completed his BSc in Mathematics and Physics and PhD in Applied Mathematics. Following post-doctoral research positions exploring the kinematics and dynamics of free-surface flows, mixing, and digital printing, he took up an RCUK Academic Fellowship in multiscale modelling in 2005, which led to his current academic position. His research interests are now quite diverse, including tribology, wetting, droplet dynamics, thermal management, oil and gas flow assurance, and the mechanics of macular holes in the human retina. He has published approximately 50 articles on these various topics, and his work is funded by the EPSRC, EU and directly by industry. He became a Chartered Engineer in 2011 and is a committee member of the IMechE Thermofluids Group.